The first stop on our coastal trip down to Victoria was a visit to Narooma and a 3-night stay on the South Coast of New South Wales. A scenic 5-hour drive on the Princes Highway from Sydney and we turned up just in time to check-in for our accommodation at the Big 4 Narooma. After unloading our bags, we set off to get some photos of Narooma before it got dark. We first drove around to the break wall in the hope of catching a glimpse of a seal but weren’t quick enough to get a photo. 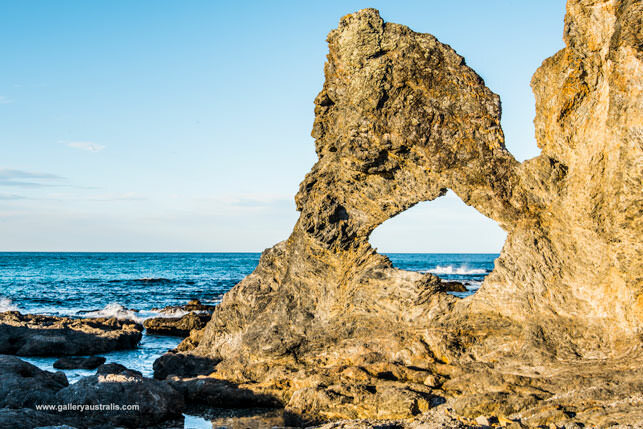 Instead, we took some photos of Narooma’s famous Australia Rock. 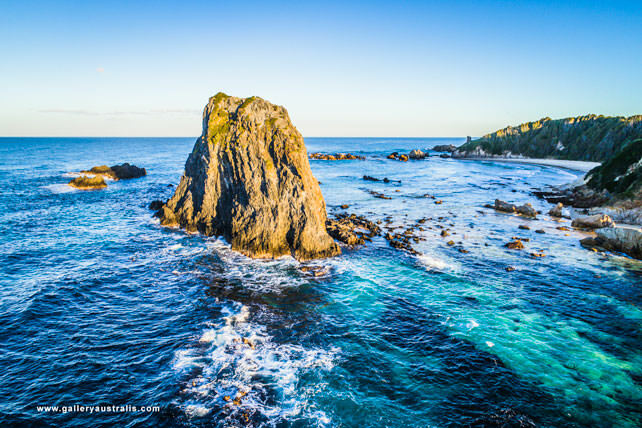 The Famous Australia Rock at Narooma has an uncanny resemblance to the map of Australia. After strolling around we then went up to Bar Rock lookout for a good view over the bar and Narooma itself. You get a great view out to sea, to the north of Narooma and west over the town from Bar Rock Lookout. View from Bar Rock Lookout Narooma. 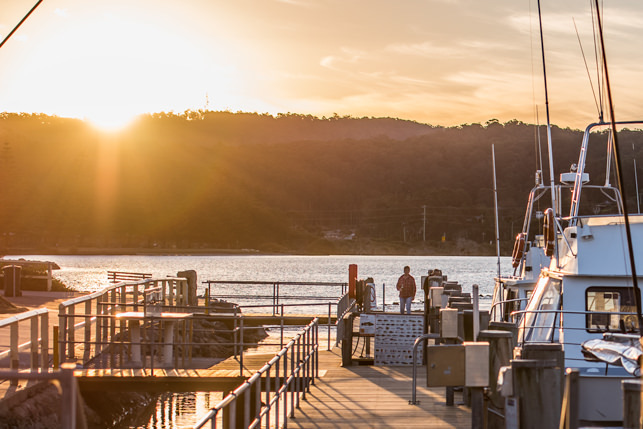 Narooma is teaming with wildlife, it’s famous for seals and fishing. There are fishing charters, scuba diving and snorkelling tours. The charters leave from the marina and visit Montague Island. The charters leave from the marina and visit Montague Island. 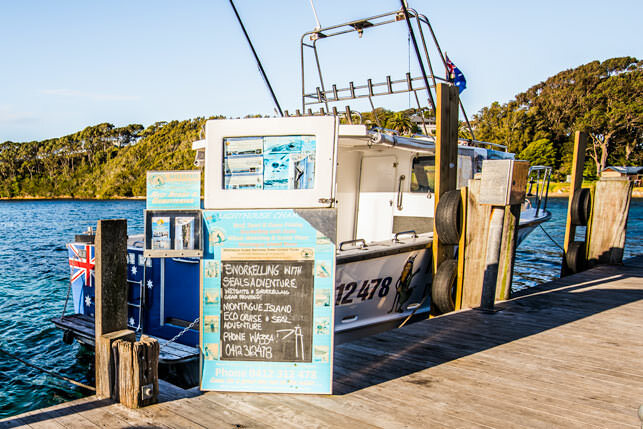 Fishing and Snorkelling Charters Narooma. Give Wazza a call he’ll sort you out. If you around the south side of Narooma you’ll come across Narooma Surf Beach, from there you can see Glasshouse Rocks. 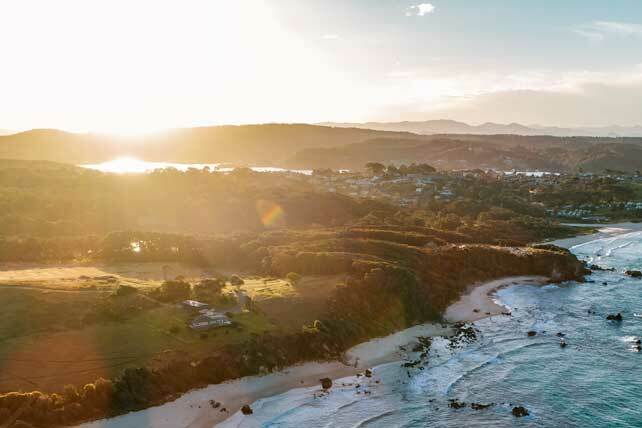 We took a seat and considering there was no one around I took the drone out and got some great photos of Glasshouse rocks and the setting sun looking back to the Narooma township. Note: You’re not permitted to fly drones within 30m of people, I don’t even like doing that unless I’ve been asked. A lot of people don’t appreciate drones flying around while they’re about their business. So pick your times and locations and everything will be sweet. I’ am registered with CASA. For details send me an email over at www.galleryaustralis.com. 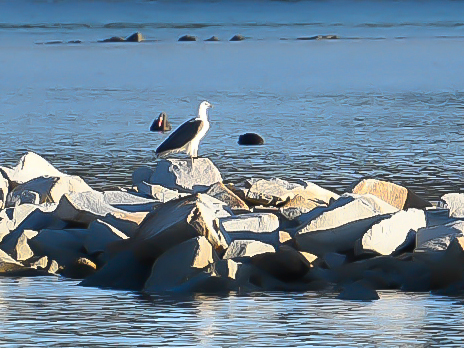 A Sea Eagle taking a rest between hunts at Narooma. We stayed at the Big 4 Caravan Park in Narooma, we hooked up a pretty good deal online at Bookings.com for a 3 Bedroom 4.5 Star Cabin that had a spa bath, fully equipped kitchen, 2 bathrooms (1 ensuite), your own BBQ, extra large balcony and outdoor setting overlooking the water. We didn’t need 3 Bedrooms but we were staying in very quiet times so they were a steal, from memory the same price as the others. Honestly, I doubt you’ll get anything better than these cabins in a Hotel. 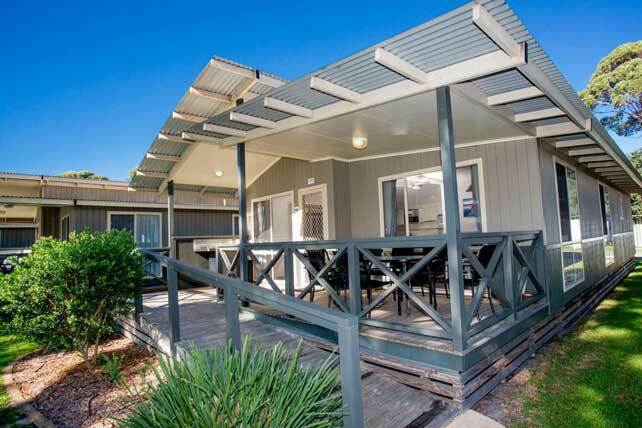 Some people hear “Caravan Park” and roll their eyes, but let me tell you that many caravan parks (Big 4’s at least) are embracing the comforts of fully self-contained cabins. They’re often cheaper than hotels that are one-quarter of the size and have far more amenities. I just like em! 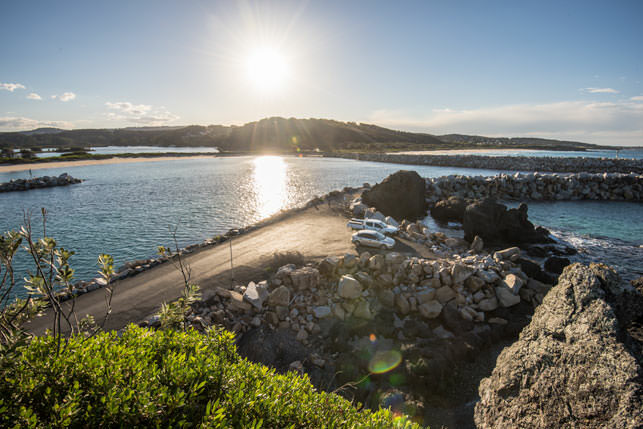 Narooma is a very scenic 5-hour drive south of Sydney down the Princes Highway and a little over 8 hours drive from Melbourne. Funnily enough (not that I’ll ever need to do it) Canberra is a lot closer than Sydney as the crow flies. 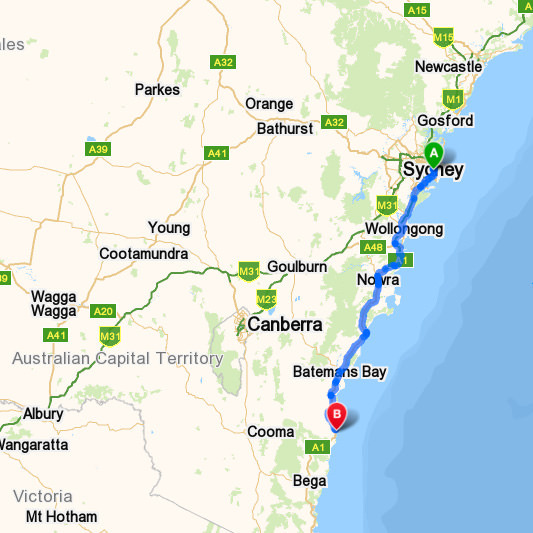 But I can’t see a direct route to Narooma without heading back to Sydney. 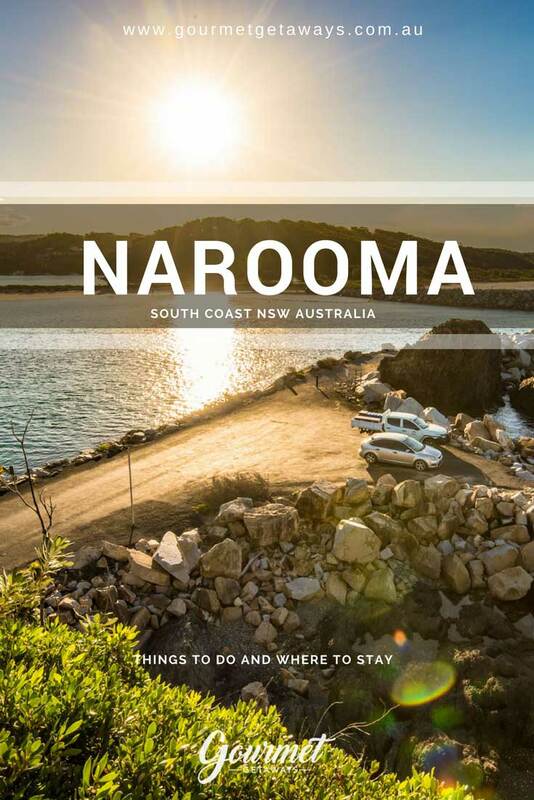 Hope this inspired you to visit Narooma on your next holiday to the South Coast of NSW, we love the place.